2x42 Tri-Rail Red and Green Dot Scope |ReplicaAirguns.ca | New Website! Comments: Take the guesswork out of your shooting session. 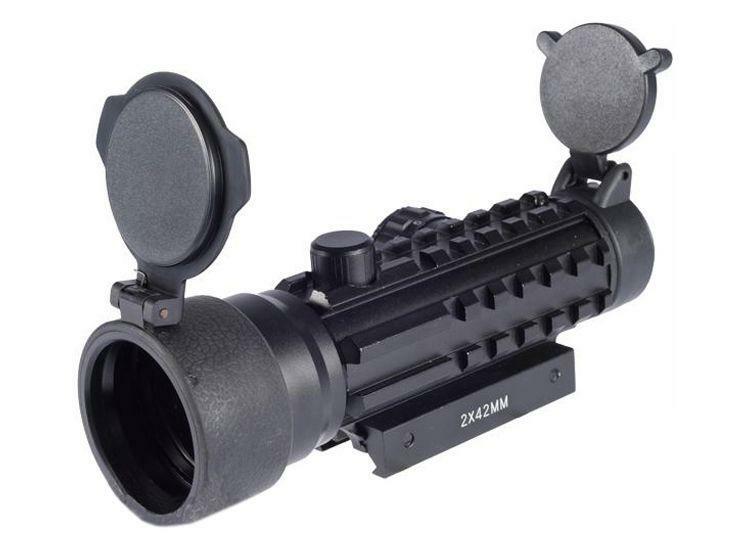 The 2x42 Tri-Rail Red and Green Dot Scope provides a 2x magnified view and has dual red and green illumination for day and night time operations. Adjustable for windage and elevation.